The Joint Conference of the Allied Printing Trades Union published this circular during the Topeka, Kansas, printers strike. 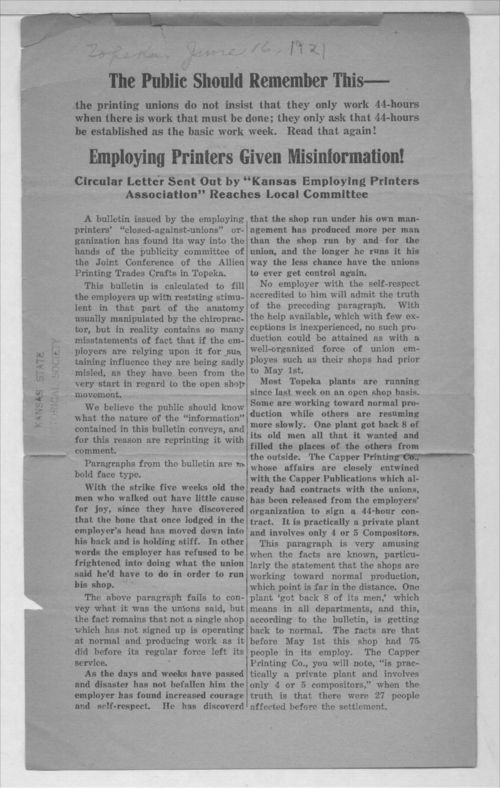 This publication refutes claims made in a Kansas Employing Printers Associations circular. At the center of the issue between employed printers and union printers was the forty-four hour week. Date: June 16, 1921 ?